I have to say it was pretty nice to get a Shirabe focused episode this season. We even get pretty near confirmed information about what happened to her family. For those that were hoping Kirika and Shirabe would get some solo moments this season, this should deliver on that. 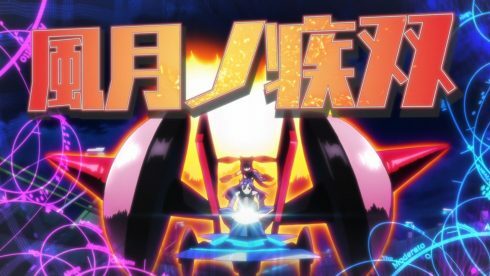 Obviously it is pretty hard to have Kirika have nothing to do with a Shirabe episode since they’ve been near inseparable since they met. But I’d say this episode came pretty close to hitting that mark as we’re going to get. 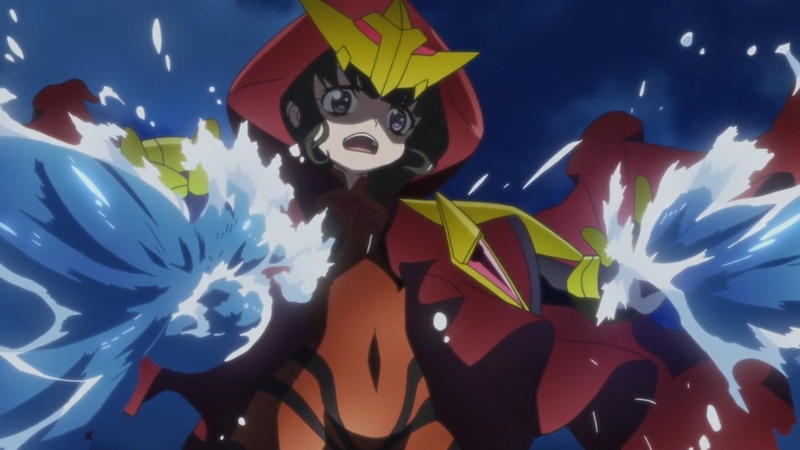 Looking at this episode it does make sense to pair Shirabe up with Tsubasa. They do have some common characteristics. 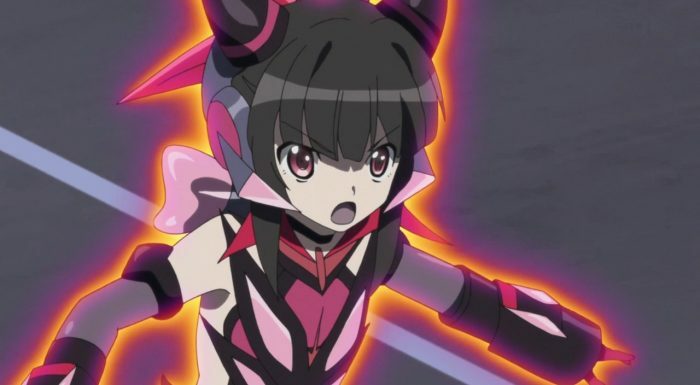 While Tsubasa has mostly moved past the point where she shut everyone out, she can certainly relate to Shirabe. It isn’t that easy to simply remove those protective walls that have served you well for a long time. So yeah, it seems like the show has confirmed Shirabe’s family situation. Presuming the ‘shrine joke’ wasn’t really a joke of course. It would line up pretty well. A car crash seems entirely plausible considering the blood on Shirabe’s possessions and her apparent amnesia. Although Kirika also seemed to have memory issues so I’d have to wonder if they did something to those kids to mess with their memories when they arrived. Regardless the bag Shirabe had along with the sign at the shrine at least points to a connection. If she isn’t that priest’s granddaughter then at least her family visited that shrine. I’m just a bit surprised they are going to leave that hanging. I suppose Shirabe is happy enough as it is and wouldn’t be hyped to move to live at a shrine anyways…But it still seems like there is something to explore there. Personally I’m just hoping my worst case scenario isn’t accurate. We’re talking about a secret government organization grabbing kids from other countries here. I can’t rule out that the car accident…wasn’t really an accident. FIS was an American organization. There’s no way they were legally acquiring kids from all over the globe here. 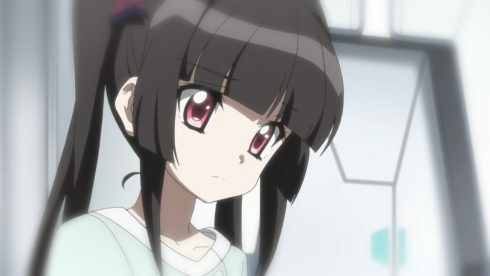 I just hope they didn’t find out Shirabe might be a candidate to inherit Finé’s soul and took out her family in order to more easily acquire her. Regardless it certainly is a sad backstory there; Family dying in an accident, losing her very identity, and then the experimentation. At least she’s doing well now and is with people she can trust. The defeat of Prelati had a pretty different feel to the fight with Cagliostro. While that was a fight Cagliostro picked, this was more unintentional. Prelati was gunning to find Saint Germain to tell her what was going on. The problem of course was that Prelati wasn’t caring about how it looked or how she got there. It is understandable that the main cast could hardly let someone racing around the road like that keep going. If she got into a populated area and charging forward…people would end up killed. And honestly we know Prelati doesn’t care about any lives outside of her comrades. If it isn’t Germain or Cagliostro then honestly she could care less what happens. It’s like a major criminal racing down a highway…the authorities are going to step in to stop them. She had a choice to stop and talk, but didn’t take it. It does make it feel less “hell yeah” since this was playing into Adam’s hands. They are cleaning up his mess for him. I’d argue though that this doesn’t help him too much. 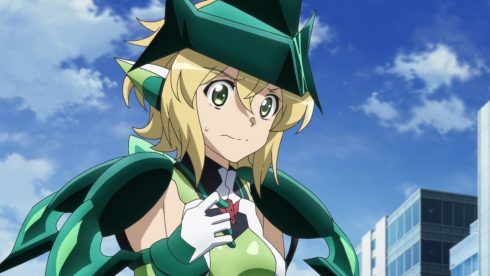 That is one less possible sacrifice and the Symphogear users are on a roll now. They are getting stronger while his forces are dwindling. Of course he may not care so long as he can get that divine power. Sadly I can’t help but see Germain ending up being Adam’s sacrifice. She could easily be lured into a fight against the Symphogear users and then be stabbed in the back. Adam doesn’t seem like the type that is doing this for the world or to share power. 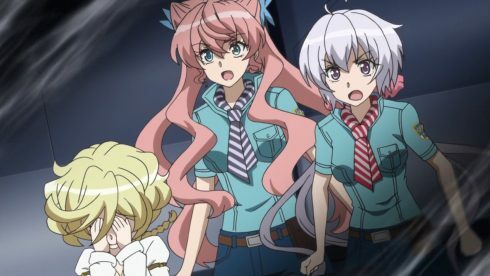 Nothing good is going to happen with Germain potentially seeking revenge for her comrades while the real threat is standing behind her. The show did cover itself pretty well though. They made sure Yukine’s gear needed maintenance so she wasn’t going to join the fight against Prelati via flying on a missile. So this really was left to the two gear users with the highest mobility. And they did a good job handling the alchemist attacks from Prelati. Overall I liked the song and I’m glad they decided to go with these mixed pairs for the later fights. It is more interesting than GX just having a single character going Ignite and building up to that alone. This way we get characters interacting and it feels more emotional. I give props as well to Ninja Master Ogawa for putting up a nice performance this episode. He did give everyone a real scare though when it seemed like Shirabe…bisected him. Kind of a reminder of how having regular people training with gear users could be slightly dangerous XD. Good thing Ogawa has his ninja skills sharpened. Otherwise this episode would have been more about Shirabe dealing with the realization of murdering someone…Anyways I’m just glad the show is keeping the entertainment levels high and moving things ahead. We’re not far from Adam kicking his plan into overdrive and Germain potentially being sacrificed for it. 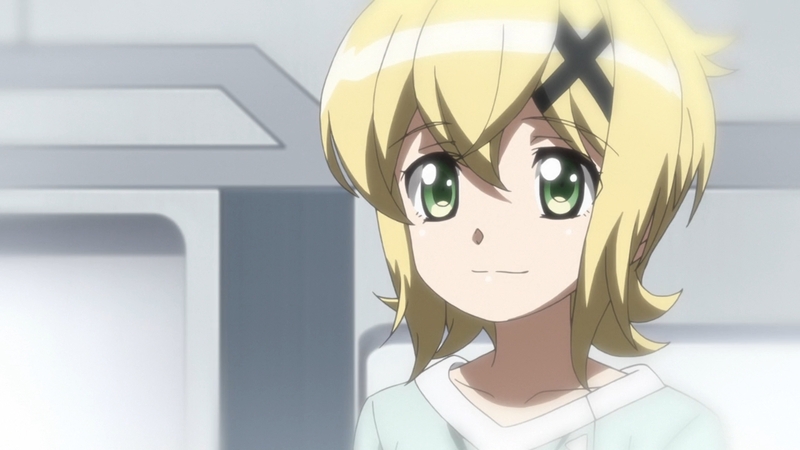 Let’s see what Kirika and Hibiki have up their sleeves since they are next up for a fight.